WTCC Home win for Tarquini’s Honda!! 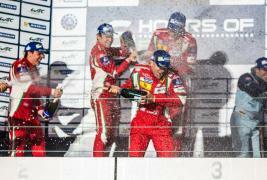 WEC 1-2 finishes for Ferrari in LMGTE Pro!! 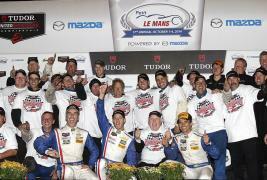 Paul Miller Racing Audi R8 Breaks Through For GTD Win! Fittipaldi, Barbosa Take TUDOR Championship, Patrón Endurance Cup Titles!! Start the duel of the year!!! Rallye de France-Alsace, WRC target in sight: Ogier/Ingrassia with chance to seal title at home in France Last chance saloon: Latvala/Anttila out to prolong title race Bronze up for grabs: Mikkelsen/Fløene home in on third place. 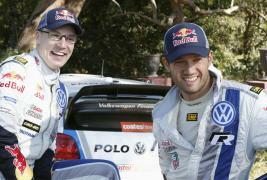 All podium made in Volkswagen Motorsport!! 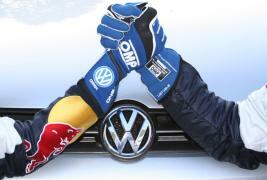 Follow us Sunday we will have the name of the big champion!! !